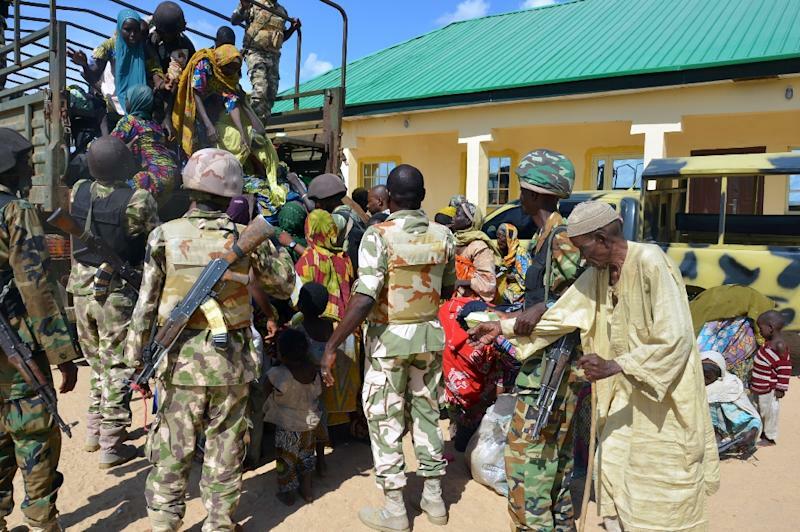 Maiduguri (Nigeria) (AFP) - Nigeria's army said Thursday it had set free 59 people held by Boko Haram, among them 29 women and 25 children, amid an ongoing offensive against the Islamist group in the country's restive northeast. The hostages were freed as the military stormed two jihadist camps in the Konduga district of Borno on Wednesday, about 35 kilometres (22 miles) southeast of the Borno state capital Maiduguri, army spokesman Tukur Gusau told reporters. "During the operation a number of terrorists were killed," Gusau said. A total of 29 women, 25 children and five elderly men were freed, he added. Mallam Modu Goni, one of the hostages, said a large number of militants had abducted him and several fellow villagers last week, and that he was forced to go "several days without food before the army rescued us yesterday". Earlier this week, the army said it had freed 30 other hostages, including 21 children. Boko Haram has abducted thousands of civilians, including children, in raids on villages and towns inside Nigeria and abroad. Non-Muslims are forcibly converted to Islam. The movement has also forced young teenage girls and women to become suicide bombers. In just over a week, suicide bombers have killed at least 47 people in attacks at crowded places, including a market and a popular bar, in towns in both Nigeria and Cameroon.